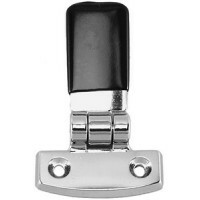 Chrome plated zinc with Black plastic knob and tip. Adjustment is 1-1/8". 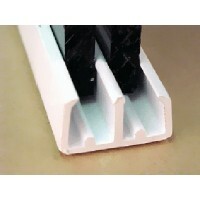 Mount: 1" x 5/8"Size: 1-5/..
Molded nylon. Carded. Includes stainless steel pin. A: 5"B: 1-9/16"C: 2-3/16"D: 1-15/16"E: 5/16"..